One of the best-known names in cinematic as well as Amateur Radio circles, actor Marlon Brando, died in Los Angeles July 1 at age 80. Known to hams worldwide as KE6PZH and FO5GJ, Brando is listed on the FCC database as Martin Brandeaux. He was on the air occasionally through the years with his FO5 call sign from his private island in French Polynesia. In an interview with Larry King on CNN in 1994, Brando confirmed his continued interest in Amateur Radio. In response to a caller’s question, he said ham radio provided him with the opportunity to just be himself. Actor. Born April 3, 1924, in Omaha, Nebraska. Brando grew up in Illinois, and after expulsion from a military academy, he dug ditches until his father offered to finance his education. 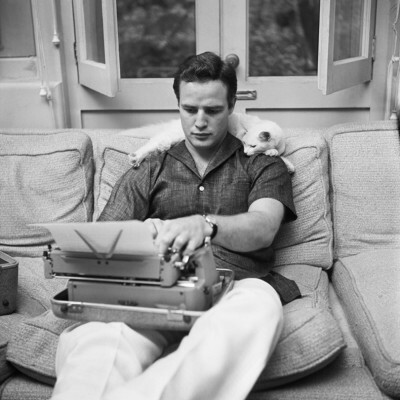 Brando moved to New York to study with acting coach Stella Adler and at Lee Strasberg’s Actors’ Studio. Adler has often been credited as the principal inspiration in Brando’s early career, and with opening the actor to great works of literature, music, and theater. While at the Actors’ Studio, Brando adopted the “method approach,” which emphasizes characters’ motivations for actions. He made his Broadway debut in John Van Druten’s sentimental I Remember Mama (1944). New York theater critics voted him Broadway’s Most Promising Actor for his performance in Truckline Caf (1946). In 1947, he played his greatest stage role, Stanley Kowalski- the brute who rapes his sister-in-law, the fragile Blanche du Bois in Tennessee Williams’s A Streetcar Named Desire. Hollywood beckoned to Brando, and he made his motion picture debut as a paraplegic World War II veteran in The Men (1950). Although he did not cooperate with the Hollywood publicity machine, he went on to play Kowalski in the 1951 film version of A Streetcar Named Desire, a popular and critical success that earned four Academy Awards. His next movie, Viva Zapata! (1952), with a script by John Steinbeck, traces Emiliano Zapata’s rise from peasant to revolutionary to president of Mexico. Brando followed that with Julius Caesar and then The Wild One (1954), in which he played a motorcycle-gang leader in all his leather-jacketed glory. Next came his Academy Award-winning role as a longshoreman fighting the system in On the Waterfront, a hard-hitting look at New York City labor unions. During the rest of the decade, Brando’s screen roles ranged from Napoleon Bonaparte in D?sir?e (1954), to Sky Masterson in 1955’s Guys and Dolls, in which he sang and danced, to a Nazi soldier in The Young Lions (1958). From 1955 to 1958, movie exhibitors voted him one of the top 10 box-office draws in the nation. During the 1960s, however, his career had more downs than ups, especially after the MGM studio’s disastrous 1962 remake of Mutiny on the Bounty, which failed to recoup even half of its enormous budget. Brando portrayed Fletcher Christian, Clark Gable’s role in the 1935 original. Brando’s excessive self-indulgence reached a pinnacle during the filming of this movie. He was criticized for his on-set tantrums and for trying to alter the script. Off the set, he had numerous affairs, ate too much, and distanced himself from the cast and crew. 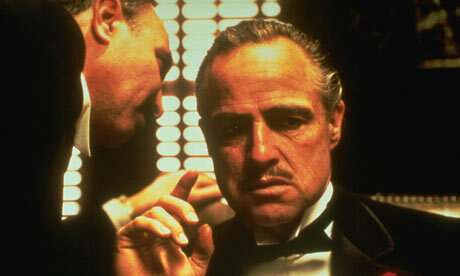 His contract for making the movie included $5,000 for every day the film went over its original schedule. He made $1.25 million when all was said and done. 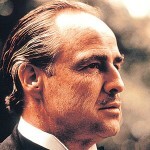 Brando’s career was reborn in 1972 with his depiction of Mafia chieftain Don Corleone in Francis Ford Coppola’s The Godfather, a role for which he received the Academy Award for Best Actor. He turned down the Oscar, however, in protest of Hollywood’s treatment of Native Americans. Brando himself did not appear at the awards show. Instead, he sent a Native American Apache named Sacheen Littlefeather (who was later determined to be an actress portraying a Native American) to decline the award on his behalf.